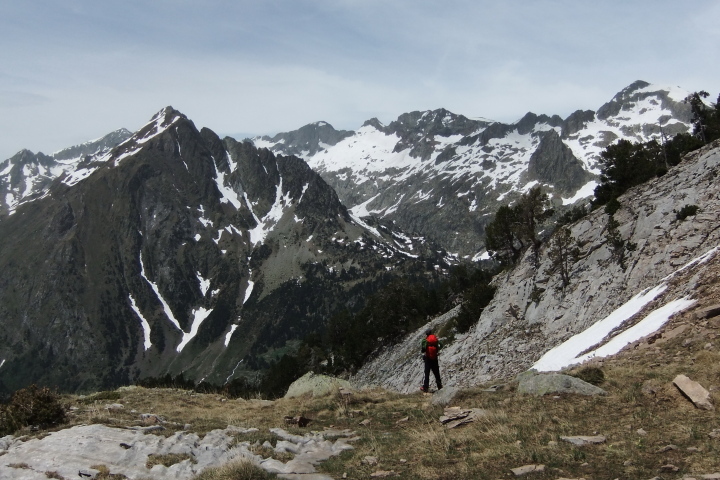 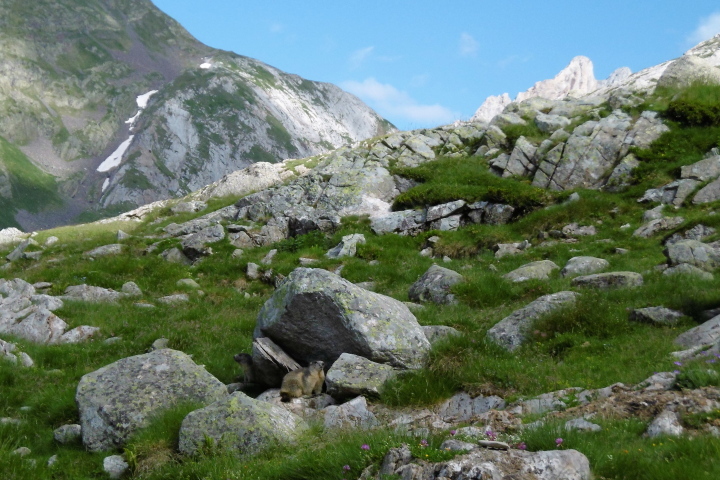 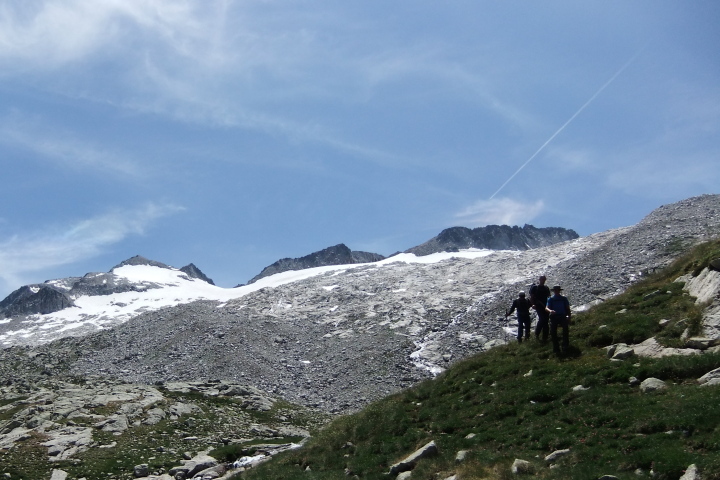 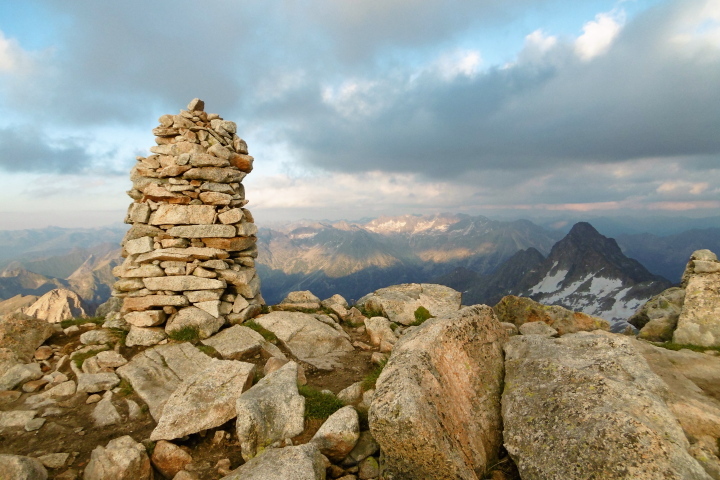 Are you up for a hiking challenge, tackling four of the highest peaks in the Pyrenees? 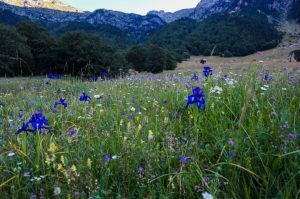 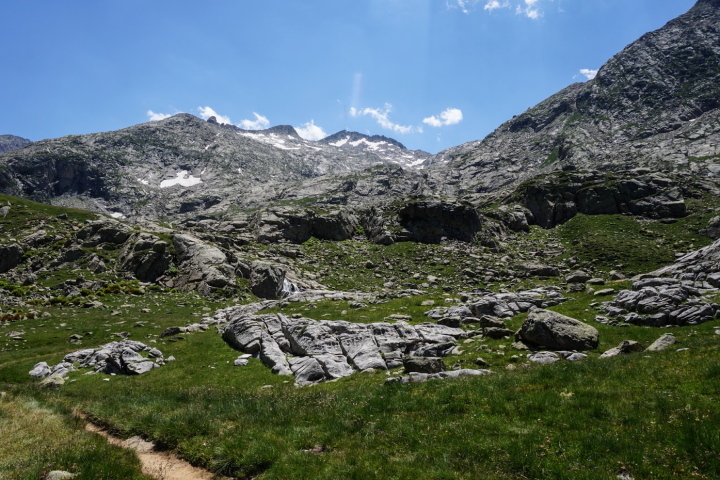 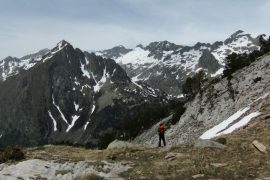 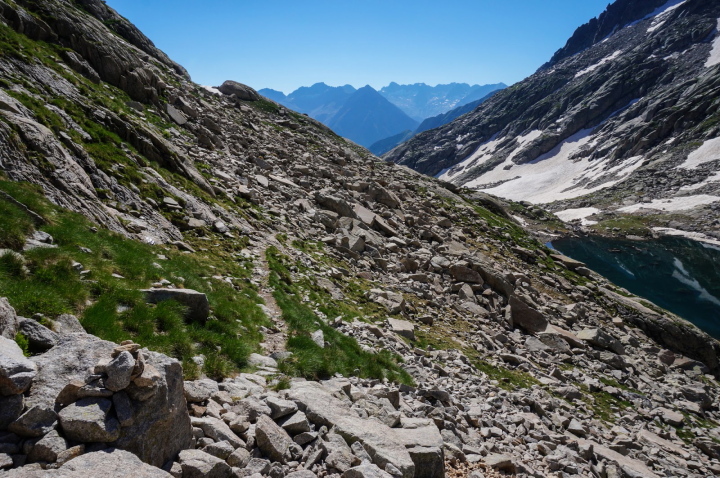 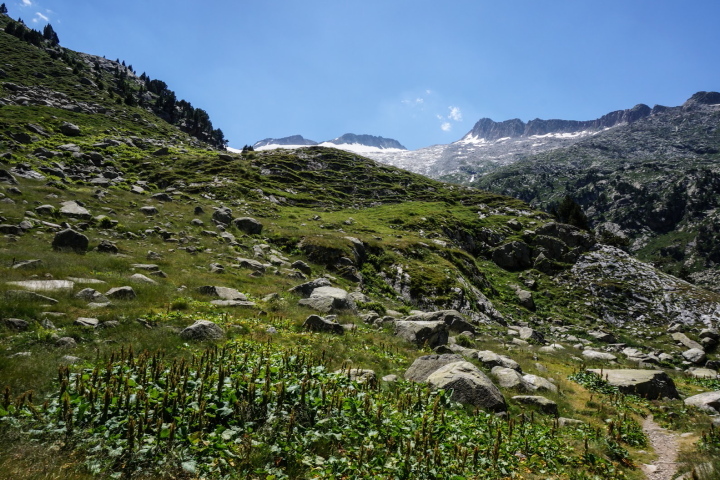 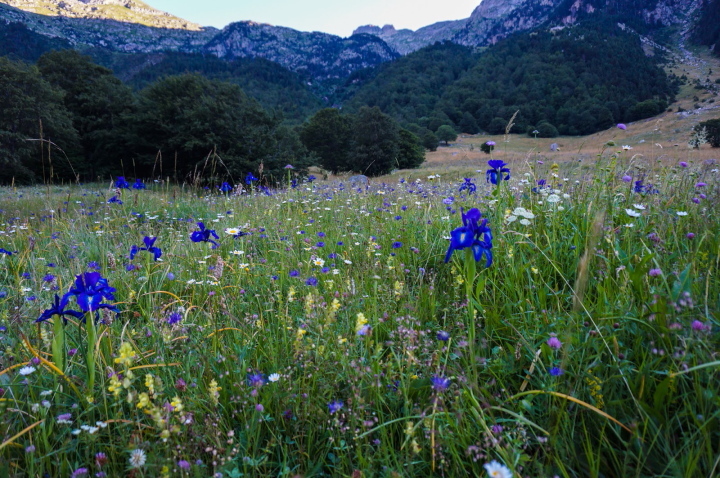 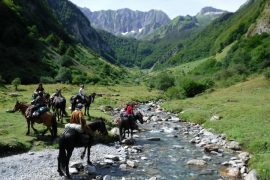 This is a demanding 6 night, 5 day hiking holiday (led by a fully qualified high mountain guide) which showcases the beautiful and wild Maladeta national park in the Spanish Pyrenees. 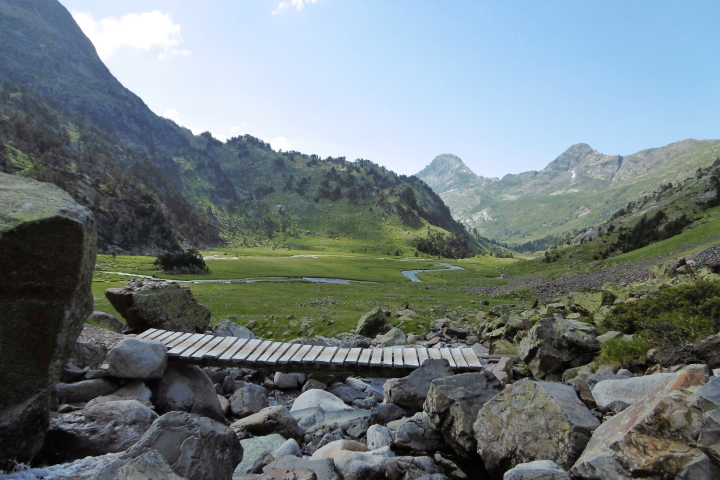 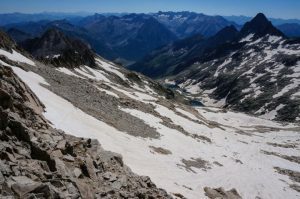 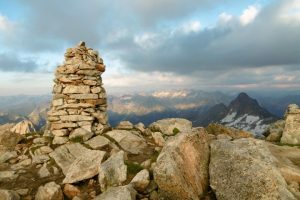 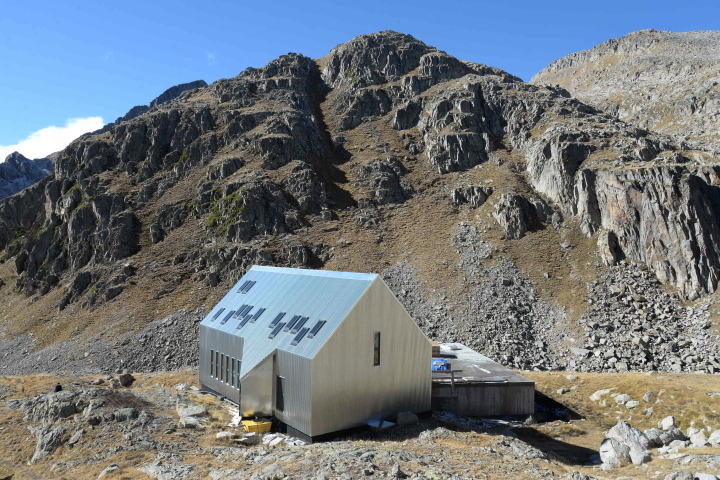 The aim of this hiking challenge is to summit four 3000m peaks including the highest peak in the Pyrenees, Pic Aneto. 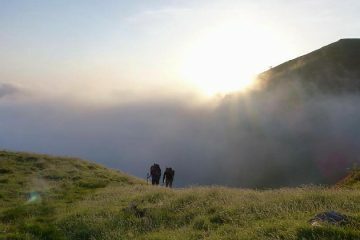 There’ll be ‘Wow!’ moments a-plenty! Is this hiking challenge for me? 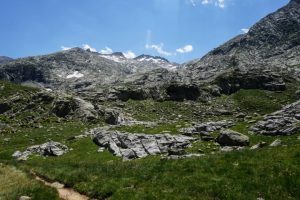 The walking is demanding and strenuous and you will need to be a fit mountain walker who is used to long days on their feet. 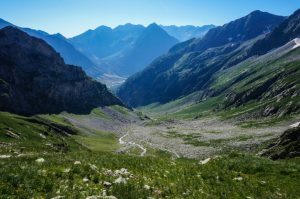 On each day you will be walking for between 7 and 10 hours and will climb between 1000 and 1500m, often on rough unmarked and indistinct high mountain paths. 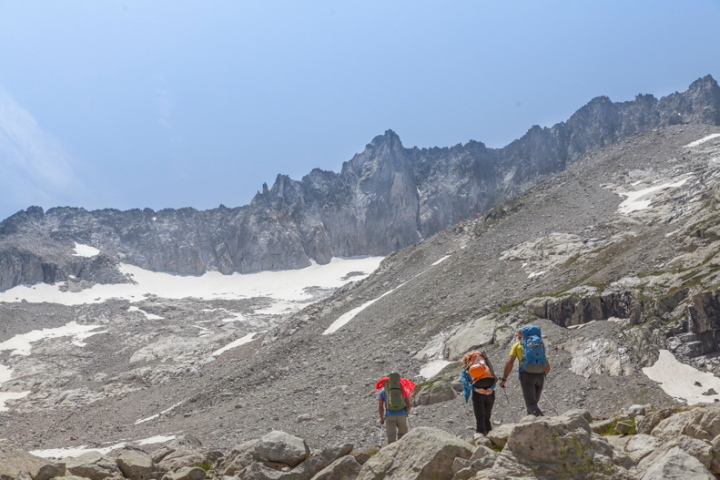 If you like your hiking high and wild, this is for you! 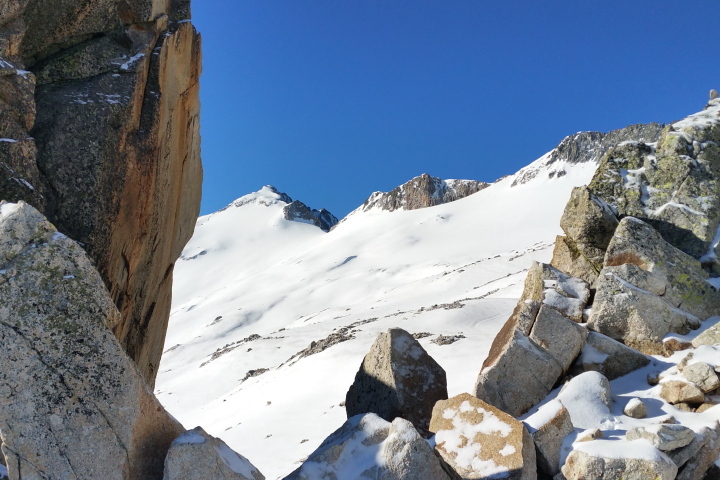 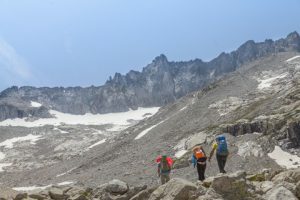 In addition to the need for previous endurance hiking experience it is also advisable to have previous experience of walking in crampons and using an ice axe. 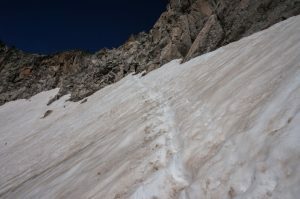 There will undoubtedly be some snow slope crossings early in the season. 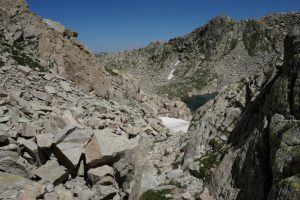 Some short sections of roped scrambling may also be required but you will be attached to your guide at all times. 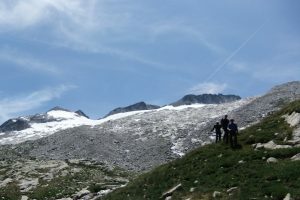 Who is my guide on this hiking challenge? 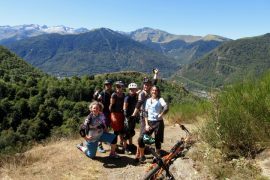 Your guide is a fully qualified english-speaking high mountain guide or ‘guide de haute montagne’ who is an expert in this mountain environment. 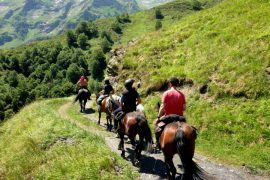 He is familiar with the weather patterns in the Pyrenees mountains and will use his experience to keep you safe up in the high mountains. More highly qualified than the walking ‘accompagnateur’, he is also qualified to guide you using crampons, axes and ropes if required. Accommodation in the mountains will be in guarded refuges where you’ll sleep in bunk rooms with other mountain adventurers. 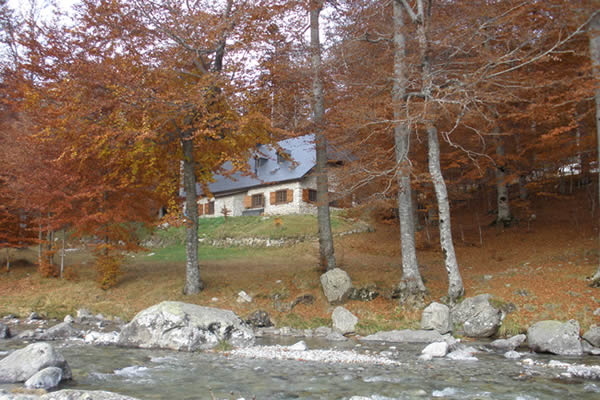 You’ll get a good meal and a breakfast that will set you up for a long day in the mountains. 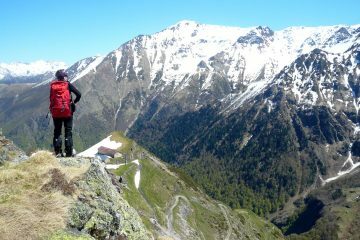 From the Cap de Llauset refuge you’ll stay at a high altitude and hike over to the refuge des Conangles via the collet des Estanayets. 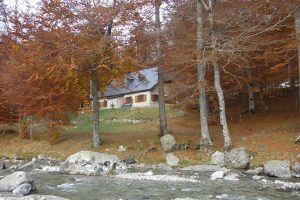 The Conangles refuge is in a lovely cool wooded situation with plenty of outdoor sitting space.